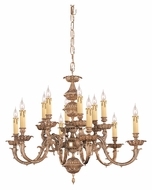 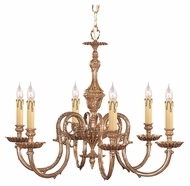 The best polished brass chandeliers bring to mind the lighting designs of merry olde England, New England during the Colonial period, or even a Scottish Castle. 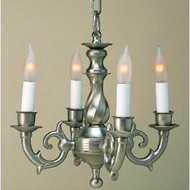 In fact, the early Americana style still is prevalent in east coast homes to this day. 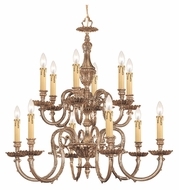 Some homeowners shop our selection to buy a solid brass chandelier to decorate the space above an attractive dining room table. 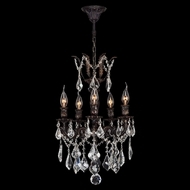 Other shoppers peruse our inventory to light a foyer or perhaps an elegant sitting room. 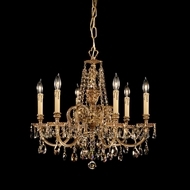 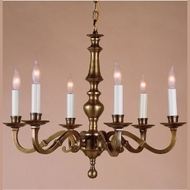 A solid brass chandelier is at home in any number of stylishly decorated rooms. 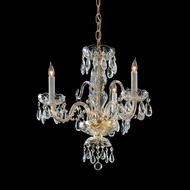 A high ceiling is required to house this style and lights that can measure up to four feet in length. 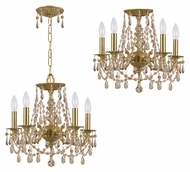 Also, these sale items may have four, five, six, ten, fifteen or even twenty light configurations. 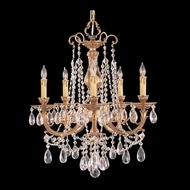 Our inventory is priced from $100.00 to upwards of $4,000.00. 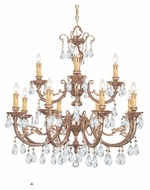 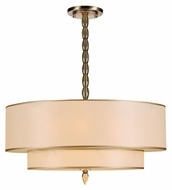 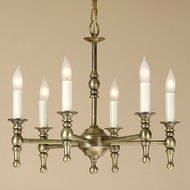 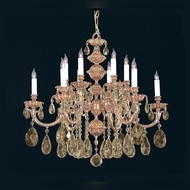 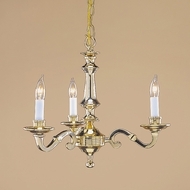 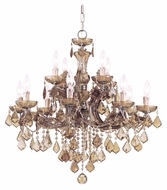 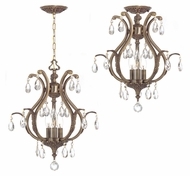 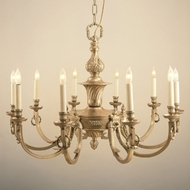 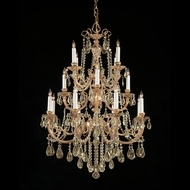 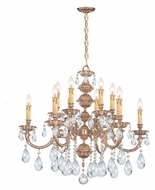 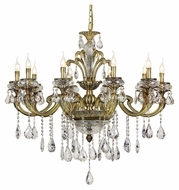 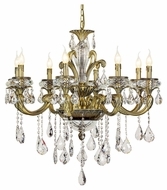 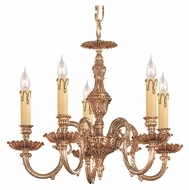 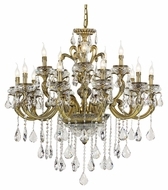 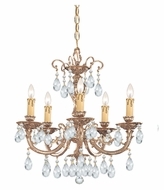 In addition, some of the well-known manufacturers of our quality polished brass chandeliers include Maxim Lighting, Crystorama and Kichler, just to name a few. 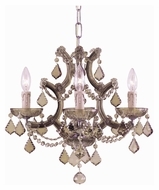 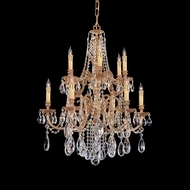 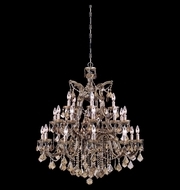 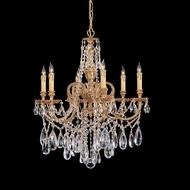 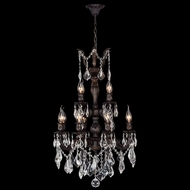 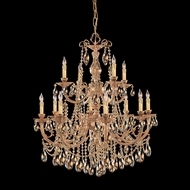 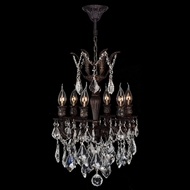 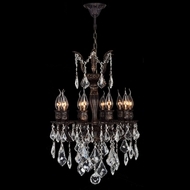 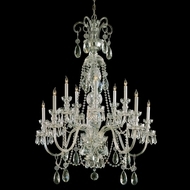 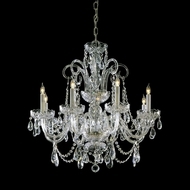 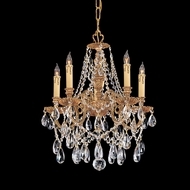 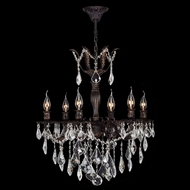 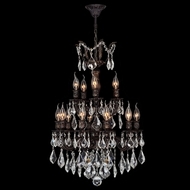 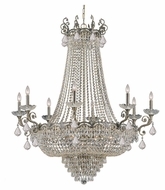 As a note, a chandelier lift sold separately may be necessary for some of our lights. 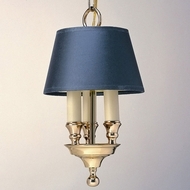 Please check with your designer and contractor to see if you�ll need one of these. 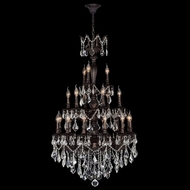 Lifts are for overweight fixtures that need to be lowered via a hydraulic system for periodic cleaning. 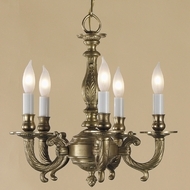 The detailing work and rich design heritage are what make our best polished brass chandeliers so appealing.